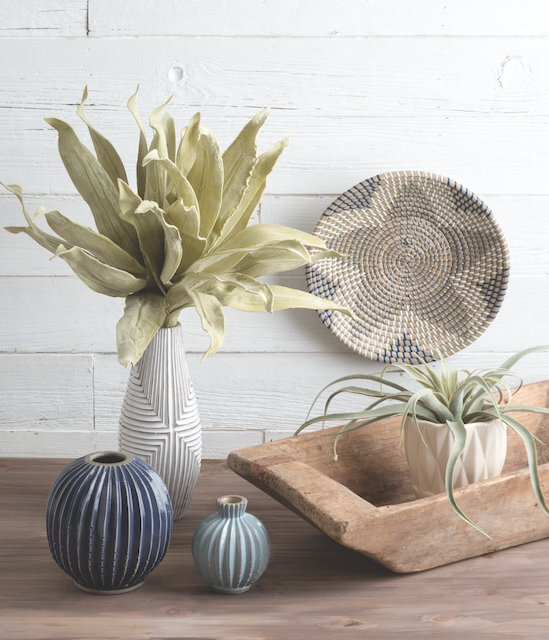 Take a break from florals this spring to embrace one of our favorite cottage-style trends: global-inspired design. 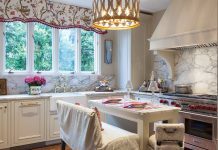 From handwoven tapestries to artisan coffee table beads, check out this quick guide for simple ways to incorporate a touch of stylish design this season. 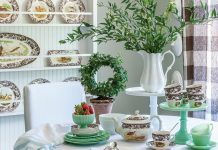 For more global-inspired designs, order our Spring 2018 issue! 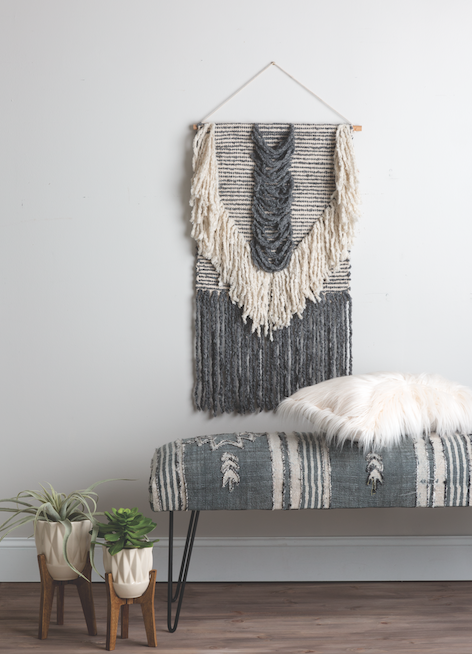 This unique wall tapestry from Sugarboo & Co. works well in any space and with lots of accessories, like the planters from Summer Classics bench, and pillow from At Home Furnishings. 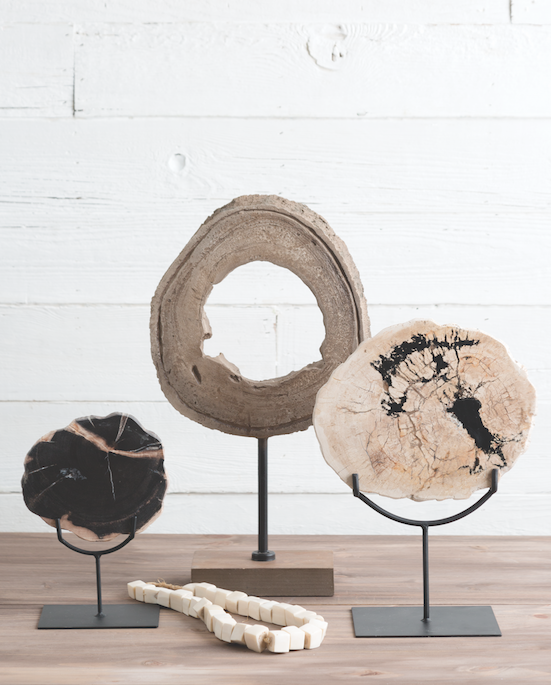 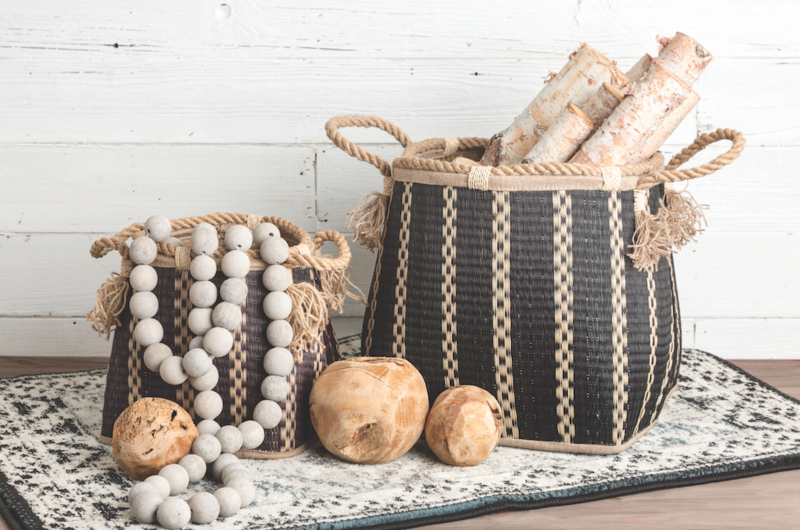 Add style to your storage with these baskets + wooden spheres from At Home Furnishings, while creating texture and patterns with the beads from Sugarboo & Co.
Bring the look of globally-inspired designs into your home with petrified wood from West Elm.